Today Google announced the release of Your World, which adds more personalization and social filtering on your search results. Google has also made it easier to manage the level and depth of your personalization with Your World as well for those who prefer unfiltered results. Adding social signals to search engine result pages is nothing new. Bing has been doing this long before Google. With 2011 showing many months of lost market share to Bing, it is no surprise that they have identified a business need here. Check out this quick marketing video on the new functionality then read more to understand how this will impact the user and the search marketer. Along with the new functionality, Google is including complete transparency around which results have been influenced by a user’s social profiles. Google has also included a toggle button to turn on and off personalization at the individual search session and the ability to turn off personalization as default. 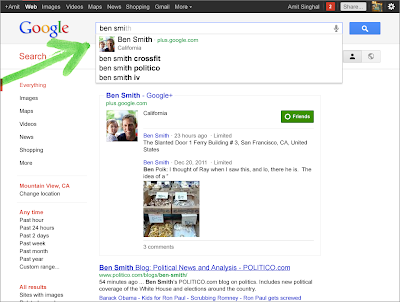 How will Google Your World impact the search marketer? 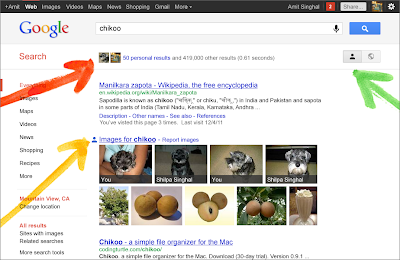 As of now, the majority of searches come from non-personalized results. Google holds over 60% market share and only a fraction of traffic comes from personalized search. With Google encrypting the referral string of all personalized search queries, it will be difficult for attribution models to identify which keywords are driving traffic to your site. We are seeing the impact of this being between a lower bound of 2% up to 25% of Google natural search referrals depending on the site. From a marketing perspective, we still have to focus on the basics of building a great site with a sound infrastructure that is easily crawled by search engines with compelling content that people like to link to, share, and mention. From a strategic standpoint, this update brings SEO/SEM professionals closer with teams working on social communications. Social communications are another area that search marketing professionals need direct influence on, as well as partial ownership. In order to influence the number of personalized results, your site must have compelling, relevant content and the ability for that content to be easily shared. Many sites offer social buttons on their site and manage their social accounts in order to communicate with people in their niche market. SEO by nature spans across much of the organization from IT, PR, marketing, branding and even HR (think job postings) so it is no surprise that social media is just one more aspect that SEO/SEM professionals must pay attention to. As you think about ‘Google Your World,’ remember that at Conductor we are always here to help you navigate the ever-evolving world of search marketing.